Motorola wants to rock your world with a new cell phone, the Motorola ROKR E8. This handset will be released a few days earlier than the highly anticipated 3G iPhone, that is, on July 7th. This cell phone isn’t just a communications device, as it helps you get your entertainment chops in as well, being a rather formidable MP3 player in its own right. 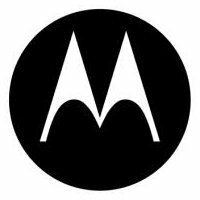 In addition, it will be the first Motorola device that boasts the company’s breakthrough ModeShift technology which was pretty hyped up at this year’s CES in Las Vegas. With the ROKR E8, it will also mark the first time Motorola’s new FastScroll navigation wheel makes an appearance, being a variable-speed touch control that lets consumers easily scroll through all of the content stored on the device. All it takes is a gentle slide of the thumb, where the wheel will quickly scroll through your music (music mode), contacts (phone mode), calendar (phone mode), or multimedia (imaging mode) content. With a 2″ QVGA display, all the relevant information is easily viewed. Motorola always rock the world with a new cell phone, the Motorola ROKR E8. I very much keen to buy this handset because motorola always brings an exciting blend of innovative design and technology that harmonizes music and phone features into a single mobile device.